ECOMM CURRENT OPENINGS: Opening for an Accounts Manager in an FMCG CO. 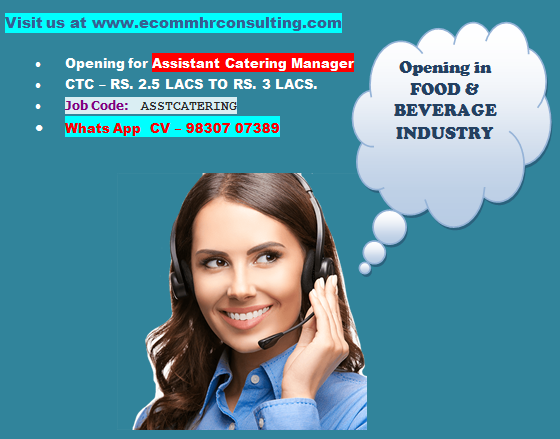 Opening for an Accounts Manager in an FMCG CO.
Job Location - AJC Bose Road. Near Rabindra Sadan Metro. Managing the Finalization. Balance Sheet. E filing of the Direct Taxes and the GST. Monitoring the Accounts of the Branches.